Sorry I didn't finish the other nail.. all I did was dot windows with white polish. I hope you guys enjoyed this nail look and try it out! 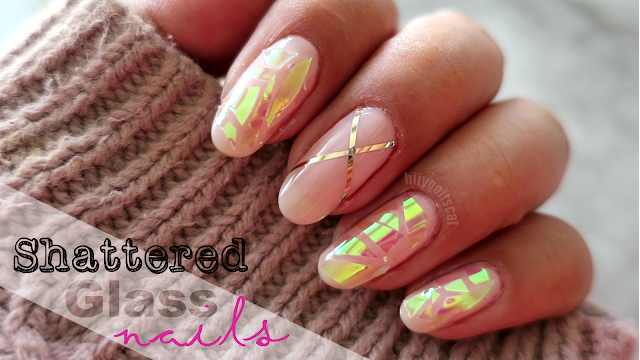 It gives your nails a pretty girly chic look. Something very subtle with a little pop of shimmer. Don't forget I still have my BagBlaze GIVEAWAY up till the end of the month!